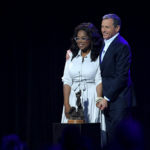 A couple of months ago, there were rumors that Disney Chairman and CEO Bob Iger was being urged by friends to consider running for President in 2020 to oppose current businessman turned politico Donald Trump. 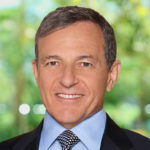 However, soon after that, Iger extended his contract with the Walt Disney Company, taking his tenure into July 2019. Although some say this as a potential dealbreaker, new reports suggest Iger is still “clearly intrigued” by the idea of running. According to Axios, Iger has spoken about the feasibility of a run with several friends, many of whom have been very encouraging. In fact, the report indicates that Jeffery Katzenberg has been pushing Iger into the idea and may have even had a hand in leaking the initial story. 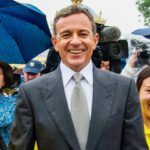 Additionally, an “insider” told the site, “He’s hearing that quite a bit from prominent fundraisers and Democratic insiders.” That said, Iger has not taken any formal steps towards mounting a campaign. 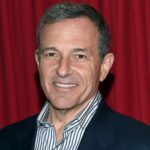 Meanwhile, Iger is still a member of President Trump’s economic advisory council, which he defended vigorously at the this year’s meeting of the shareholders in the face of protest.